5. Dinosaur – Dinoland in Disney’s Animal Kingdom is home to the scientists and students of the Dino Institute who moved in after fossils were found in the area. In the rear of the land is the Dino Institute itself which is home to the thrilling attraction Dinosaur. This entirely indoors attraction invites guests to travel back in time to the age of the dinosaurs to enjoy a leisurely and educational tour. Guests however find themselves in for a thrilling adventure in near darkness after being sent on a top secret mission to bring one particular dinosaur back to modern time with them. While this might seem like a simple task, guests find themselves perilously close to a massive asteroid impact, moving quickly through a dark prehistoric forest, and face to face with some hungry dinosaurs. 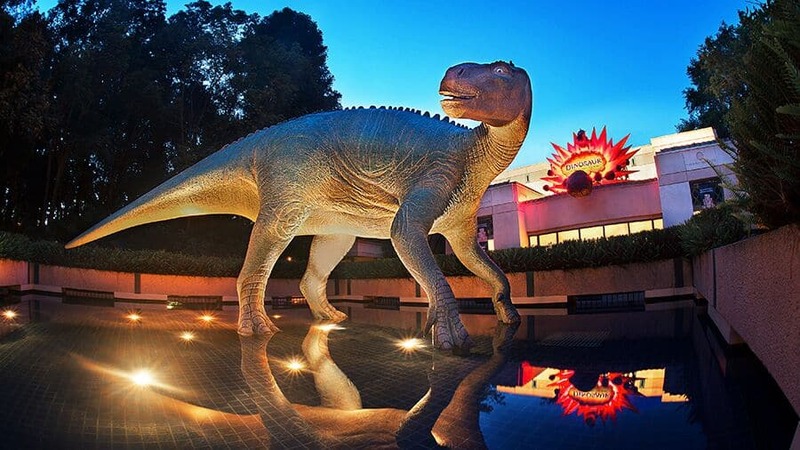 Dinosaur is a thrilling attraction in the park that is absolutely perfect for enjoying on a rainy day.